Lieutenant General Honoré is a native of Lakeland, Louisiana. He was commissioned a Second Lieutenant of Infantry and awarded a Bachelor of Science degree in Vocational Agriculture upon graduation from Southern University and A&M College in 1971. He holds a Master of Arts in Human Resources from Troy State University as well as an Honorary Doctorate in Public Administration from Southern University and A&M College, an Honorary Doctorate in Laws from Stillman College, an Honorary Doctorate in Humane Letters from Virginia State University, Honorary Doctorate in Humane Letters from Stillman College, and an Honorary Doctorate in Humane Letters from Loyola University. Prior to his command of Joint Task Force-Katrina – leading the Department of Defense response to Hurricanes Katrina and Rita in Alabama, Mississippi, and Louisiana – General Honoré served in a variety of command and staff positions which focused on Defense Support to Civil Authorities and Homeland Defense. As Vice Director for Operations, J-3, The Joint Staff, Washington, D.C., and, as the Commander, Standing Joint Force Headquarters-Homeland Security, United States Northern Command, General Honoré’s focus was Defense Support to Civil Authorities and Homeland Defense. For four of the past six hurricane seasons, he supported the Department of Defense planning and response for Hurricanes Floyd in 1999; Lilli and Isidore in 2002 (both hit the Gulf Coast); Isabel in 2003; and Charley, Frances, Ivan and Jeanne in 2004. 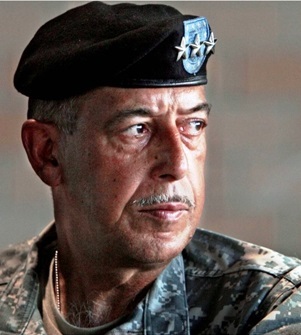 General Honoré also planned and supported the United States military response to the devastating flooding which swept Venezuela 1999 and Mozambique in 2000. As Vice Director for Operations, he led the Defense Department’s planning and preparation for the anticipated Y2K Millennium anomaly. As Commander of SJFHQ-HLS under NORTHCOM direction, he planned and oversaw the military response to the Space Shuttle Columbia Tragedy and the DC Sniper Shootings. Additionally, General Honoré participated in three TOPOFF (Top Officials) exercises as well as the United Endeavor series of Homeland Defense exercises. General Honoré’s awards and decorations include the Defense Distinguished Service Medal, the Distinguished Service Medal, the Defense Superior Service Medal, the Legion of Merit, the Bronze Star Medal, the Defense Meritorious Service Medal, the Meritorious Service Medal (three Oak Leaf Clusters), the Army Commendation Medal (three Oak Leaf Clusters), the Army Achievement Medal, the National Defense Service Medal (two Bronze Service Stars), Armed Forces Expeditionary Medal, Southwest Asia Service Medal (one Bronze Service Star) the Global War on Terror Service Medal, the Korean Defense Service Medal, Armed Forces Service Medal, Humanitarian Service Medal, Army Service Ribbon, the Overseas Service Ribbon (4), Kuwait Liberation Medal (Saudi), the Kuwait Liberation Medal (Kuwait) and the Joint Meritorious Unit Award. Qualification badges include the Expert Infantry Badge, the Parachutist Badge, and the Joint Staff Identification Badge.